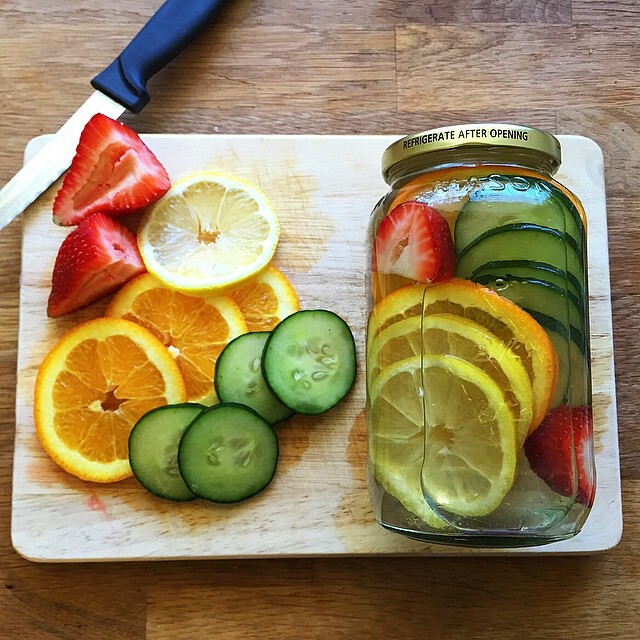 Cut out any processed sugary drinks by replacing them with fruit infused water. The fruits add natural sweet flavors to the water, and I must say it taste pretty good. Just let the water sit still for a few minutes before drinking. And if you want extra flavor just add more fruits!